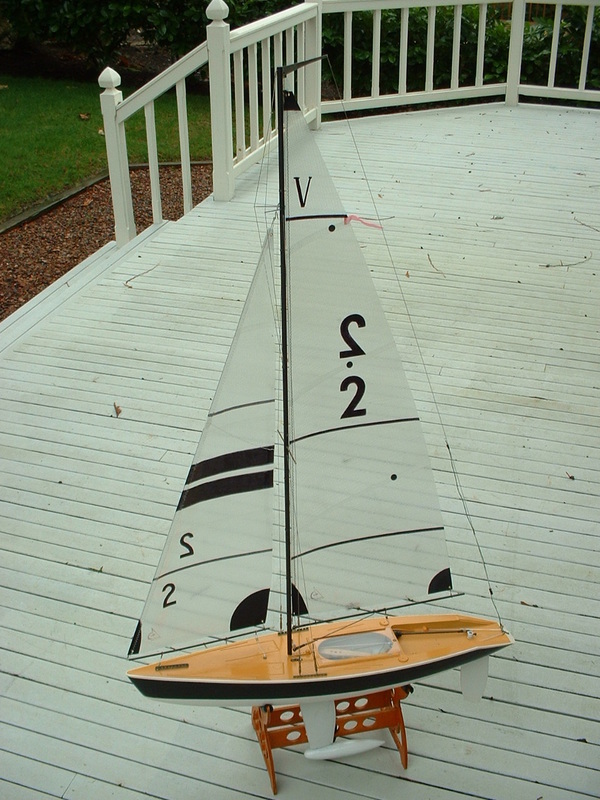 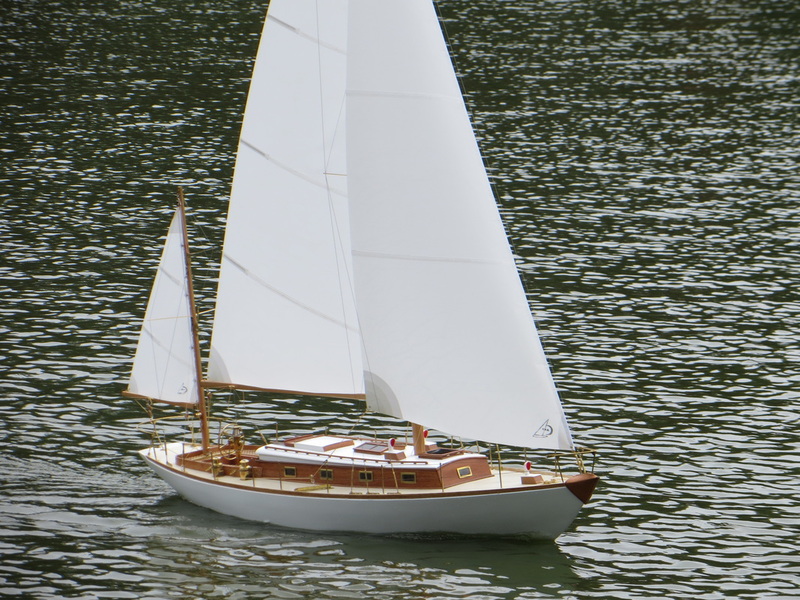 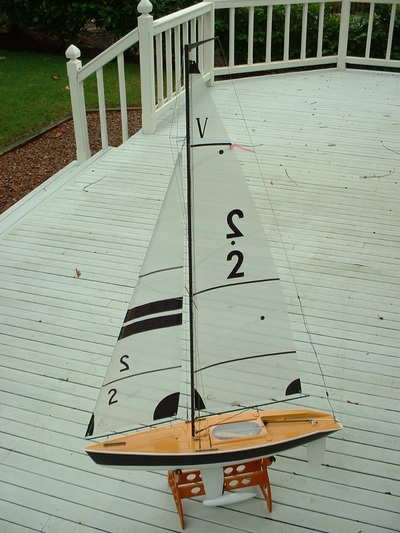 Victoria #2 with TriSpi 40, 1.0 oz mylar paneled sails. EMERALD, built 1895, sailing on Spreckles Lake, San Francisco. 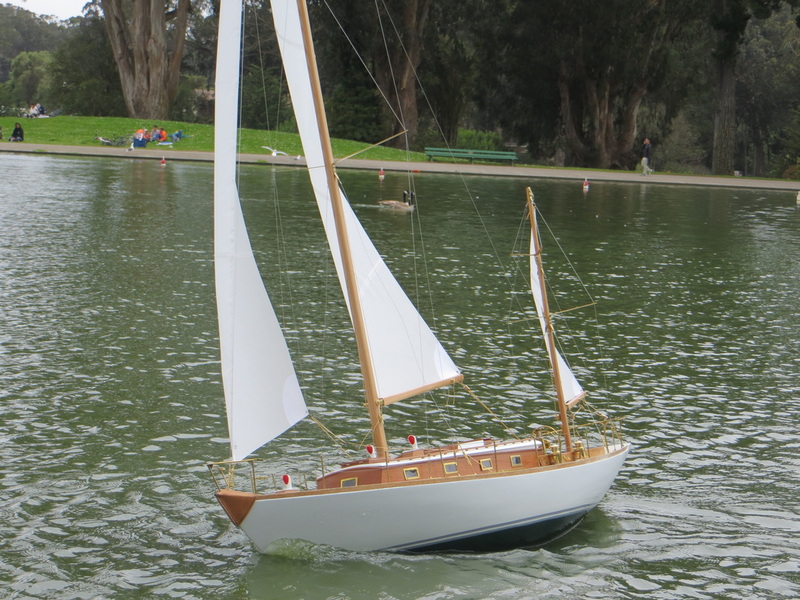 EMERALD shows her new Carr sails of 2 o Dacron. 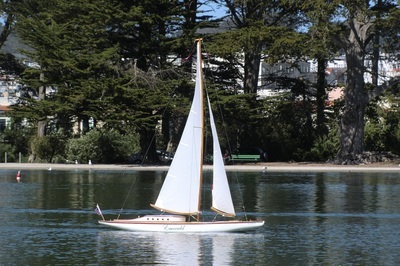 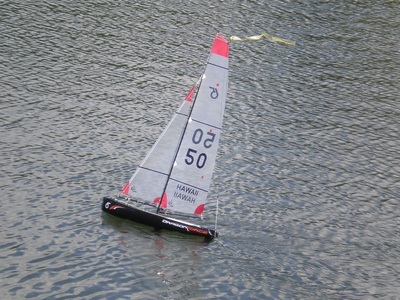 FINISTERRE, scale model by Carl Brosius of San Francisco. 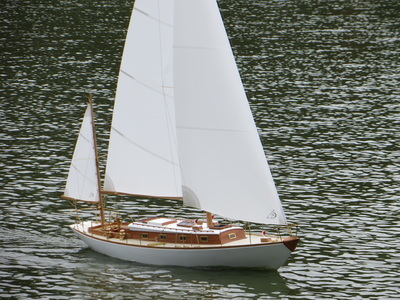 FINISTERRE nicely underway, but waiting for new mizzen sail to assist in balancing the boat for hands off sailing. 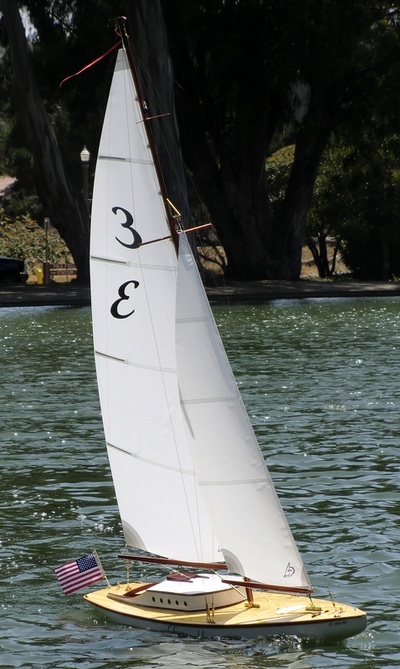 DRAGON FORCE with Class Rule single panel sails of TriSpi 40 mylar.